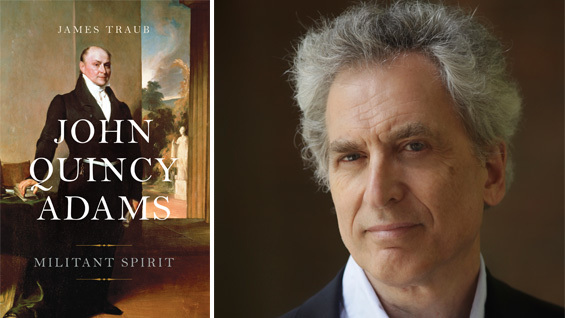 In a free, public lecture, author James Traub will discuss his new book, John Quincy Adams: Militant Spirit (Basic Books). In it, the author argues that Adams’ unshakeable commitment to principle cost him the presidency, but gained him the reverence of his nation when he returned to Congress after the White House and stood, often alone, against the slave forces of the South. Traub shows how Adams was shaped by his times, and in turn shaped the thinking of his era. He argues that as a diplomat, a political leader and Secretary of State, Adams played a neutral role in shaping the foreign policy of an infant nation; the Monroe Doctrine, he shows, owed more to Adams than to President Monroe himself. Adams was the first American statesman to set out a coherent and strategic vision of American expansion both at home and abroad. He fought to strengthen the nation and, when he saw its unity threatened, to hold it together. James Traub teaches foreign policy at New York University and is a columnist and a regular contributor at ForeignPolicy.com. He has worked as a staff writer for The New Yorker and The New York Times Magazine; and has written regularly for the New York Review of Books, The Atlantic, and many other publications.